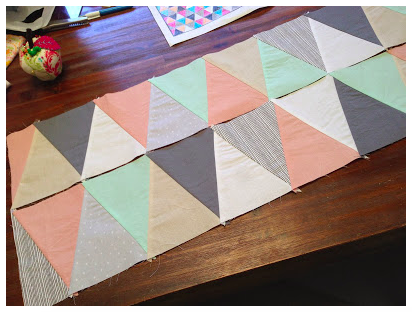 TBT – An Isosceles Puzzle – Tips For Making An Isosceles Triangle Quilt! Welcome to my first THROW BACK THURSDAY post! Once a month, I’m going to throw you back to one of my most popular blog posts, which hopefully you will find terribly exciting! The reason I’m doing this is not because I have nothing to write about (Nobody has ever accused me of being lost for words), but because since moving from Blogger to WordPress, a lot of my older blog posts have become rather “dodgy” in their set up, and really do need re-writing and re-setting-up. 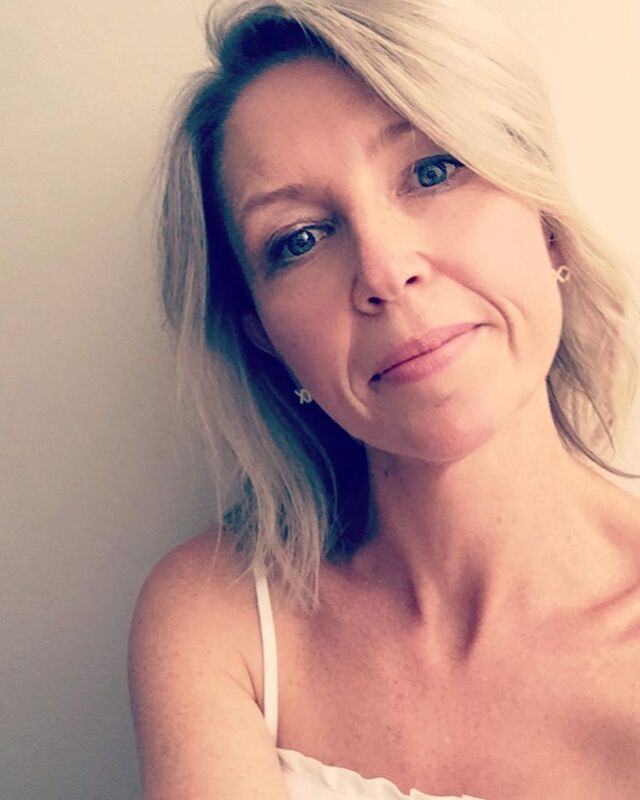 So, for my first TBT – I’m sharing with you my all-time most read and pinned about blog post ever! I think it was last year that I was traipsing through Pinterest and nearly fell off my chair when I saw it had been pinned over a thousand times! WHAT!?!?! I therefore think it must be helpful, and you all need to see it again or for the first time. 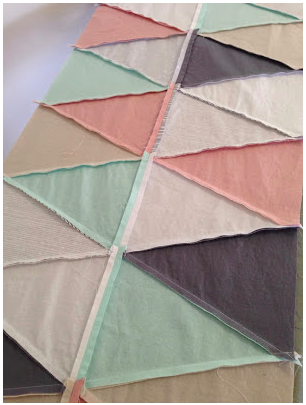 I give you my “Tips for making an Isosceles Triangle Quilt”……. 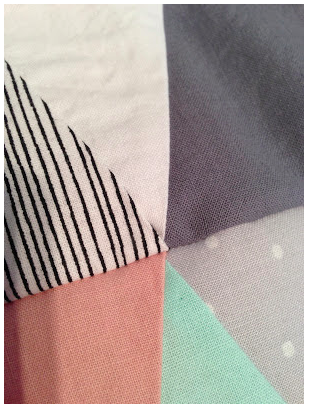 When I was asked to make my Isosceles on Point quilt, I was very helpfully pointed towards THIS tutorial/pattern. This was the inspiration Larissa had found – which was very helpful indeed! It was great to get an idea of what I was in for, however, it was quite basic, and didn’t really answer all the questions I had in this new triangle world I found myself in. And it seems that I’m not alone. A lot of you asked for tips and told me how scared you were of tackling triangles, so I took a bunch of photos throughout the process, and will hopefully make some resemblance of sense! 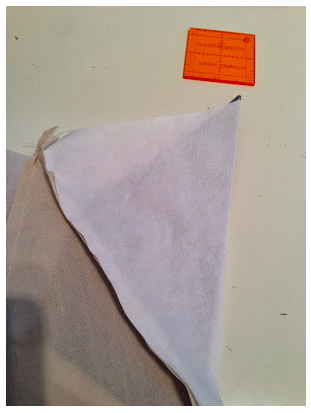 In terms of fabric yardage required, I can only tell you how much I used for a king single size. 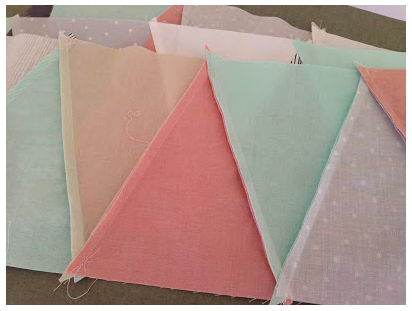 I bought 1.25metres of each fabric, and when it was finished, I think I had about 20cm of each leftover. The backing fabric was I think 5 yards. 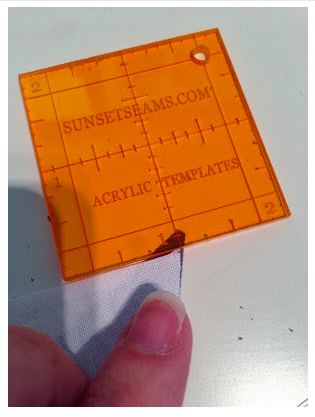 The template that came in the above tutorial has a flat tip on the triangle. Now this may make sense to some of you – but it had me stumped, and I could not for the life of me figure it out – no matter how much I googled and asked Yahoo! So after sewing two rows of flat tipped triangles together, and noting that they were a big fat fail, I altered the shape myself. It ended up being 5 3/4″ across the bottom and 8″ high. 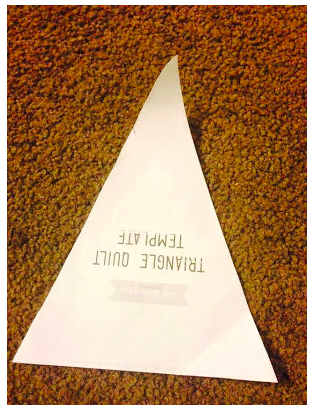 If you print out the template from above link, you can trim it to the point! 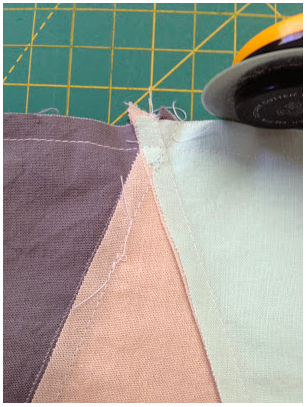 To cut the triangles out, I cut rows of fabric 7.5″ high by the width of the fabric. Then use the template to top and tail your triangles. I actually placed 6 layers of fabric on top of each other and cut through them all in one go – because I’m super impatient! For the end half triangles, I cut half triangles as instructed. 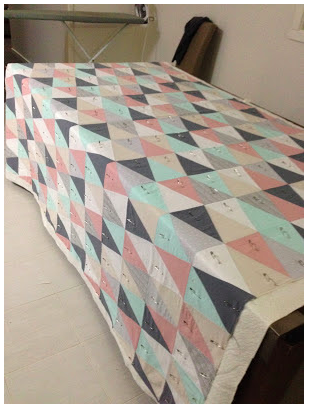 BUT, if I were to do it again, I would just start and finish each row with a full triangle, and then once the quilt top was completely put together, trim it straight down each side. Once I had a pile high of triangles, I then needed to figure out fabric placement. I am still yet to have a design wall, so I was very lucky indeed to have a very organised customer/relative who had done all the hard work. Ok, well, the first bit of hard work…..
Larissa drew up a grid of triangles, and proceeded to get her crayon on. This was extremely helpful when it came to fabric placement. And as you can see, I had to add an extra piece of paper and draw some more triangles. Clearly I am not an artist in the drawing sense! But it worked. 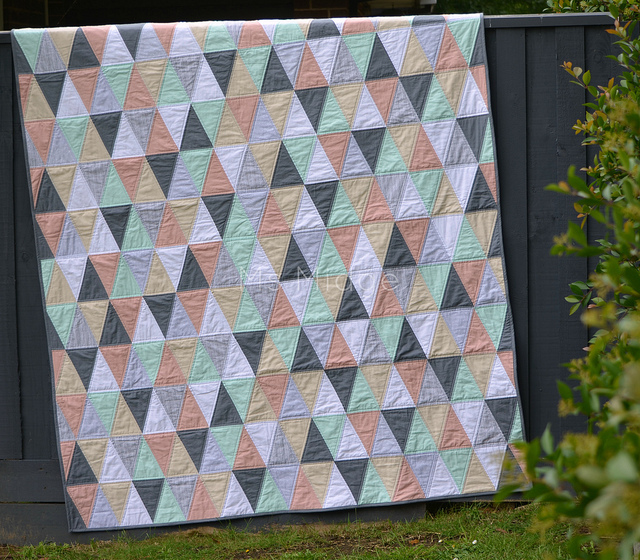 I used 7 different colours/hues in this quilt, but you really can use as many or as little as you wish. 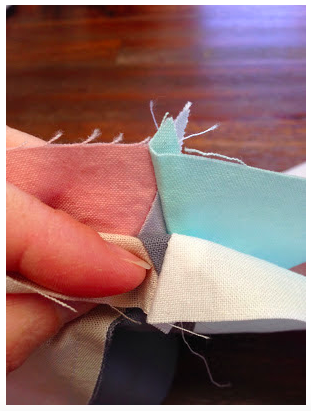 Once you’ve got your fabric placement sorted, you need to panic get prepared to sew them together! Make sure you have some time and patience. Begin by taking your first 2 triangles. Place them RST (right sides together) as shown in the photo below…. (I realise this is not the first two triangles together, but have no photo of that!) You want the tip of your triangle to be peeping out at the other end. You want your little overhang to measure 1/4″. 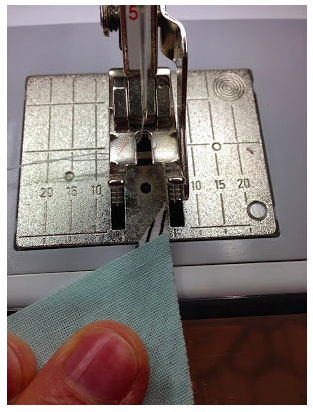 Because where that 1/4″ point is, is where you start sewing your 1/4″ seam. 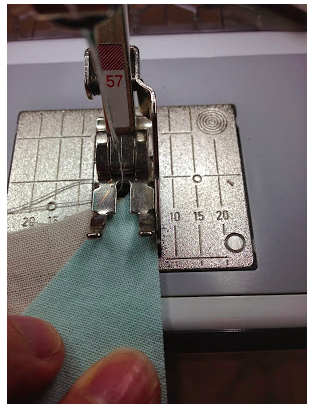 With your 1/4″ foot on your machine (or if you don’t have one, make sure you have a mark on your machine to follow) put the point of your triangle in. 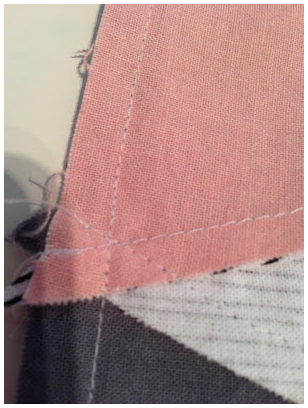 This photo shows that each time you put your triangles in to sew, the needle should line up with where your overhang begins. 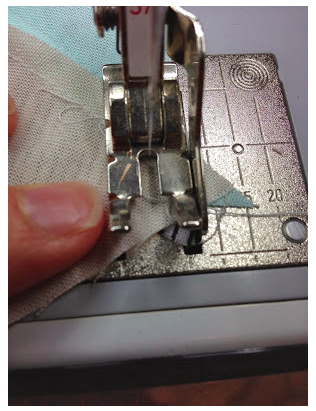 Sew all the way down the triangle, when you get about half way, put your needle down and get the other pointy end of your triangle and align it all together, making sure you again have a 1/4″ of triangle peeking out at the end, like in the above photo. Your stitching should end just like that. I found it easiest to hold the little overhanging bit at the end so it didn’t slip away! This is what your triangles should look like at the end of each one. 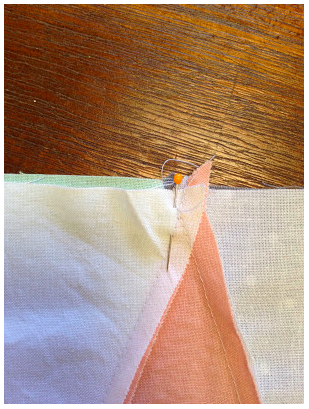 You should have an “intersection” which forms a neat little triangle seam, with overhanging bits. 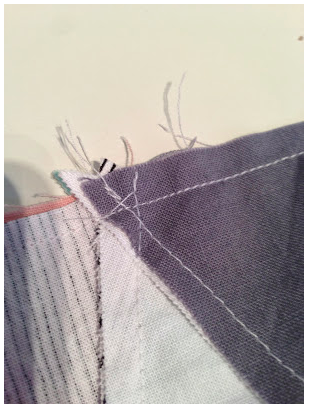 And once you’ve continued on adding triangles to your row, press all the seams to one side. You will have rows of neat little triangles! Take two rows to be sewn together, and place them RST. 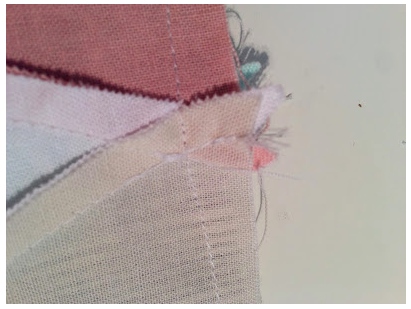 Remember which edge you will be sewing together – otherwise you will find that your fabric placement will be wrong – don’t ask me how I know that……..
Get your first “intersection/point” of each row, and line them up. The most accurate way I found, was to try and line up the points on the inside as pictured. Once you have the points lined up, pop a pin in right at that point. When you get to sewing it together, you will know to stop about an inch before that pin to make sure it all still lines up. Don’t worry if your points meeting up means that your top seams are out of whack. The seams don’t matter even half as much as the points! Pin at EVERY. SINGLE. POINT/INTERSECTION. 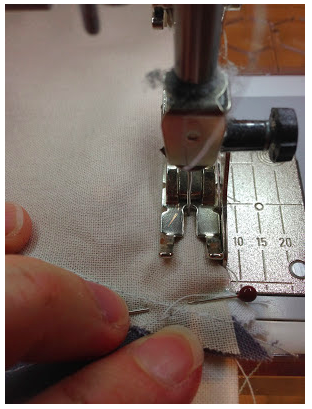 When it comes to the actual sewing of the rows together, where your points meet “should” be around 1/4″. 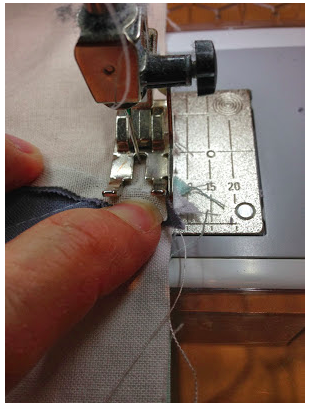 However, do a little measure before you sew, then you can adjust your seam allowance accordingly. I had to move my needle over one notch to the left, as my points were just over 1/4″.Now you just literally sew! As you approach your intersections which have been pinned, make sure they are still lining up and that you don’t have any “give” in your two triangles. 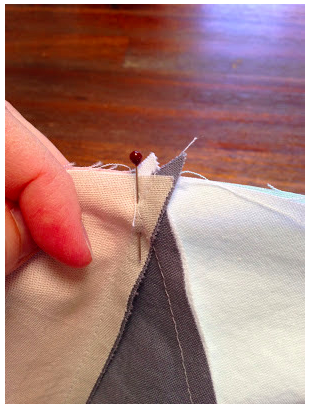 If you have to ease the fabrics together a little to ensure your points will still meet, then do it! It was VERY hard to get a photo as I sewed across the intersection! But you basically want your needle to run JUST across where the point of your intersection is – see photo below. 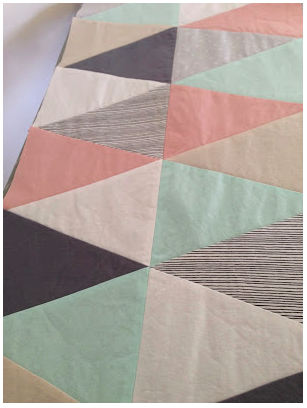 This is a great example of getting the row of stitching right across the tip/point of the triangle intersection! When you manage to get the stitching really right, as in the previous two photos – this is what your points/intersections will look like on the right side – PERFECTO! There WILL be times when you won’t get it perfect – but hey – the points are still there……. See photo below. See – you still get the points, but there’s just a little, little bit of space above and below each one. Once I had all my rows sewn together, I trimmed off all the overhanging dog ears. 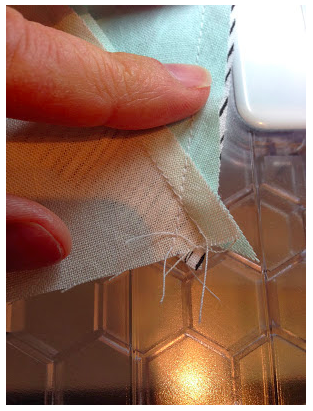 You don’t have to do this, but I find it just takes away a little more bulk when you’re quilting. I also like to press my seams apart for the same reason. When you have it all pressed, you can feel very VERY proud of your hard work and ALL THOSE POINTS!! And one last photo. I had a few peeps on Instagram ask me about my basting process when I posted this photo. I have learnt that I can do it standing up, on my dining table (Ummmm, that sounds a little wrong, but you know what I mean!). It saves my knees and my carpet (and again, sounds wrong). I’ve written a blog tutorial, which you will find HERE. So there you go my friends. 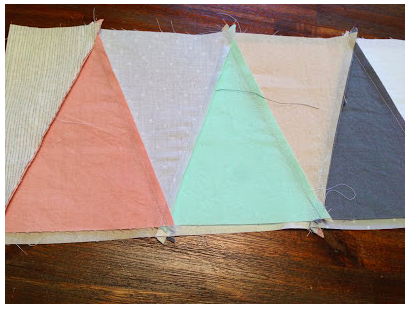 A sort of tutorial on how to make your own isosceles triangle quilt! Now – go forth and triangulate?!!!?! 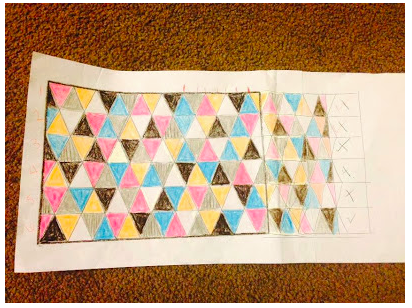 3 Responses to TBT – An Isosceles Puzzle – Tips For Making An Isosceles Triangle Quilt! 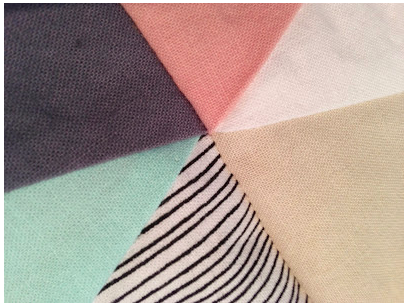 There’s actually an update to the original triangle pattern that includes a quarter inch seam allowance. Makes it MUCH easier to line up for piecing. Can you attach the original triangle template on here?